2 How serious is flu? 3 How can it be prevented? Influenza, commonly referred to as the flu, is an infectious disease caused by RNA viruses of the family Orthomyxoviridae (the influenza viruses). The flu is caused by influenza viruses A and B. There are different strains of the flu virus every year. Influenza, or flu, is a respiratory illness that is caused by a virus. 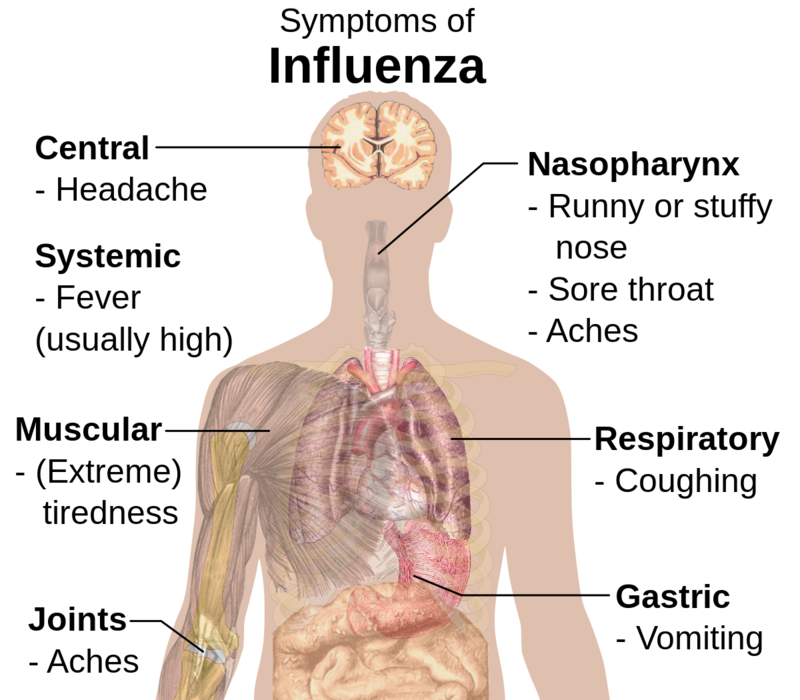 Flu is highly contagious and is usually spread by the coughs and sneezes of a person who is infected. You can also catch flu from an infected person if you touch them (e.g. shaking hands). 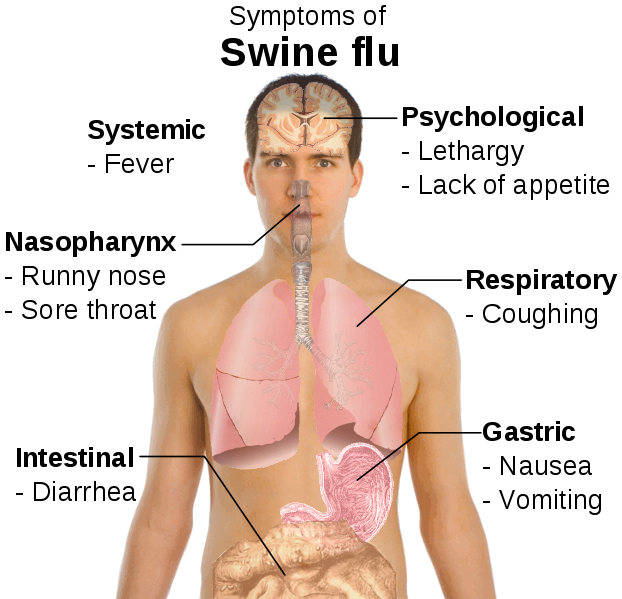 Adults are contagious one day before getting symptoms and up to 7 days after becoming ill. This means that you can spread the influenza virus before you even know you are infected. A flu epidemic, when a large number of people in one country are infected with flu, can last several weeks. According to the National Institutes of Health, between 5% and 20% of Americans get the flu each year. More than 200,000 people are hospitalized and 36,000 die annually because of flu in the United States. These symptoms may linger for about a week. The feeling of tiredness and gloom can continue for several weeks. The best way to prevent influenza is to receive an influenza vaccination every year. The Centers for Disease Control and Prevention (CDC) recommends that everyone six months of age and older receive an annual vaccination. The best time to get vaccinated is in the early fall, as soon as the vaccine is available. However, vaccination throughout the flu season, even in January or later, is still beneficial. Seasonal flu outbreaks can happen as early as October, but most of the time flu activity peaks between December and February.